Thanks for the pics all of you. Carracer wrote: ...and can't forget that small film crew. Ah...the film crew. It's great to have people interested in spreading knowledge of the sport, but the combination of we and them need to do this better next time. These guys unpacked on the paddock and just started walking around taking video and pictures...not just general shots across the group, but getting right up into people's activities without any introductions or explanation of what they were doing. I had one guy simply walk up and start shooting close ups of my gear and car without saying a word, let alone asking whether I wanted such attention. Upon asking Steve, I found that the event chairs knew about what turns out to be a class project. Since we bill FAST as a club, it would be nice if the leadership would put the word out to the membership. At the very least, insist anyone doing this in the future go through the basic social niceties of introducing themselves and asking permission before stuffing a camera into someone's engine bay. Jamie wrote: it would be nice if the leadership would put the word out to the membership. At the very least, insist anyone doing this in the future go through the basic social niceties of introducing themselves and asking permission before stuffing a camera into someone's engine bay. The film crew was a MUCH bigger operation than I expected. I got an email from a guy a few weeks ago asking if he could do a documentary on autocross as a school project, said he was a friend of Elliot's. I suggested that his documentary might be more interesting if he just focused on the experience of one driver's day, such has himself, or Elliot. But, sure, whatever. People video autocrosses all the time, be sure you're registered, read this novice page, have at it. He did NOT tell me that he was bringing a crew of 6 people and a drone, and would be a constant annoyance all day. I was expecting just one guy. I don't know about USF, but where I teach, this would have required getting a written release from someone, whether that was you or Steve on behalf of the club, or by individuals they were filming close enough to be "not a group". This sort of stuff, as it may end up in official school files or publications, is a bit more than just someone posting video on YouTube. His problem, not yours, but it's something to look for next time someone asks to do the same thing, just like if you were dealing with the press. Native wrote: Thanks for the pics all of you. Also there was a pet skunk roaming around. Did everybody get a chance to pet him/her? He was trying to keep the cars moving on the grid. Unfortunately, the skunk is inert without me. 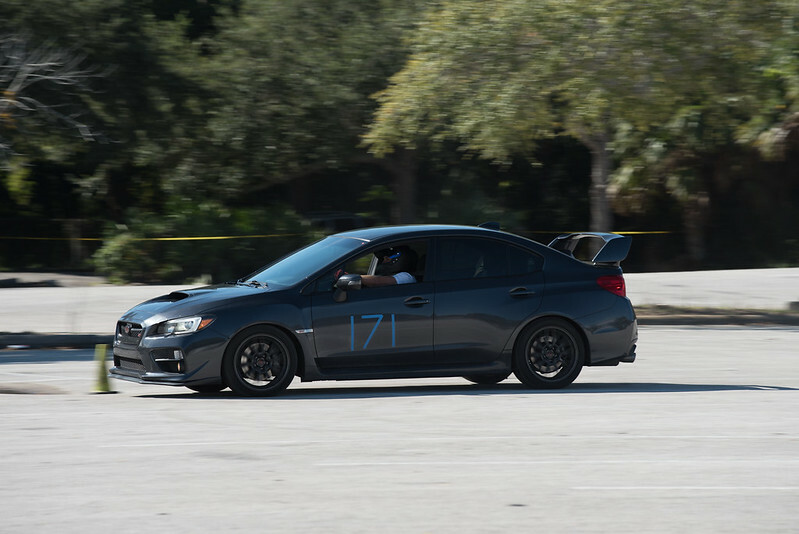 I had a blast at my first FAST Autocross everyone, thanks for putting on such a great event. I'm really excited to make it out to more events and meet more of you! Hoping for a new venue nearer to Tampa to replace this one, as I'm traveling from Bradenton. Did the link for the feature length film from this event ever get posted? If you give me the guy's email, I'll follow up on the movie. Yeah, I'd have never brought it up. But, people keep asking about it. Glad I was wearing my dopest Hawaiian shirt.